Consumer Behaviour and Analytics provides a consumer behaviour textbook for the new marketing reality. In a world of Big Data, machine learning and AI, this key text reviews the issues, research and concepts essential for navigating this new terrain. It demonstrates how we can use data-driven insight and merge this with insight from extant research to inform knowledge-driven decision making. Adopting a practical and managerial lens, while also exploring the rich lineage of academic consumer research, this textbook approaches its subject from a refreshing and original standpoint. It contains numerous accessible examples, scenarios and exhibits and condenses the disparate array of relevant work into a workable, coherent, synthesized and readable whole. 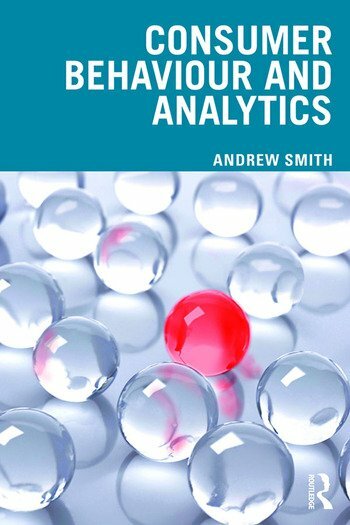 Providing an effective tour of the concepts and ideas most relevant in the age of analytics-driven marketing (from data visualization to semiotics), the book concludes with an adaptive structure to inform managerial decision making. Consumer Behaviour and Analytics provides a unique distillation from a vast array of social and behavioural research merged with the knowledge potential of digital insight. It offers an effective and efficient summary for undergraduate, postgraduate or executive courses in consumer behaviour and marketing analytics or a supplementary text for other marketing modules. Andrew Smith (BSc MSc PhD) is currently the Director of the N/LAB at Nottingham University Business School, UK where he is Professor of Consumer Behaviour. He is also an associate of The Horizon Institute (for digital economy research). Professor Smith has published numerous papers on consumer behaviour and worked on a number of funded research projects for Research Councils UK, ESRC, EPSRC, DFID, ERC, Bill and Melinda Gates Foundation, European Union, The Office of Fair Trading and Innovate UK among others. These projects have involved various multinationals and NGOs (including Walgreens Boots Alliance, World Bank Group, Tesco, IPSOS and Experian among others).